Profile: As part of the Airbus Defence and Space, which is a worldwide leader in global security solutions and systems, providing Lead Systems Integration and value-added products and services to civil and military customers around the globe, the Airbus Cybersecurity is entirely dedicated to cyber security as a “pure player” aiming at protecting governments, National agencies, strategic industries and critical infrastructure from increasingly sophisticated cyber threats. Operating worldwide, with offices in the UK, France, Germany, Middle East and North America, Airbus Cybersecurity provides high grade cyber security solutions and services to its customers. The Work Package 2 of the proposal is devoted for “Industrial Domains and Pilots” whereas pilots to be accomplished in telecom, defence and health domains. Airbus Cybersecurity will take part in the defence pilot and will provide a security use case for unmanned aerial systems (UAS). The focus of the use case will cover the interoperability property, because this property requires an exposed, external interface. It is foreseen that those interfaces are most likely to be subject to attacks in the future. Expertise and Role in CONCORDIA: The WP2 of the proposal is devoted for “Industrial Domains and Pilots” whereas pilots to be accomplished in telecom, defence and health domains. 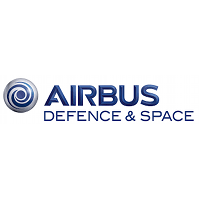 Airbus Cybersecurity will take part in the defence pilot and will provide a security use case for unmanned aerial systems (UAS). The focus of the use case will cover the interoperability property, because this property requires an exposed, external interface. It is foreseen that those interfaces are most likely to be subject to attacks in the future.